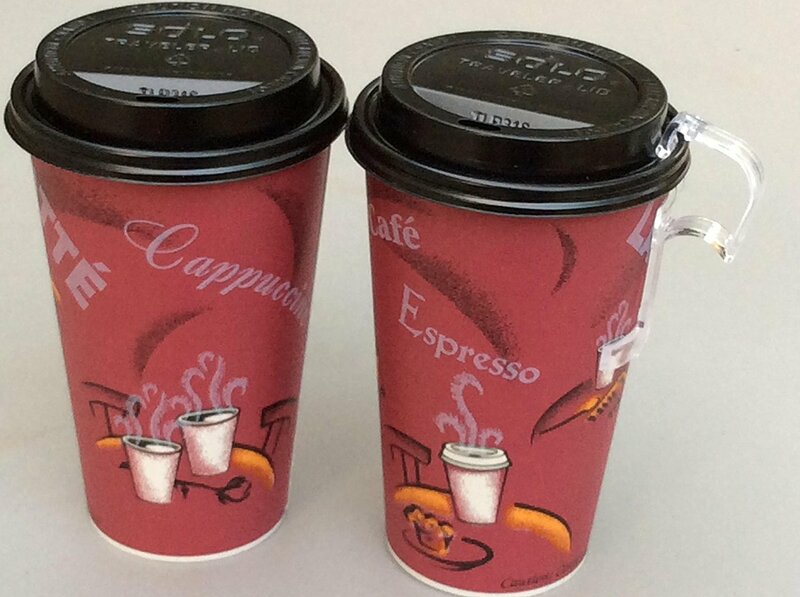 Add an artistic appeal to your coffee shop, concession stand, or food truck with Bistro 16 oz. 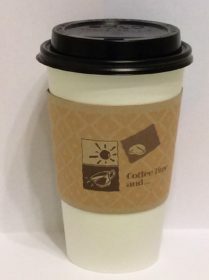 poly paper hot cup. 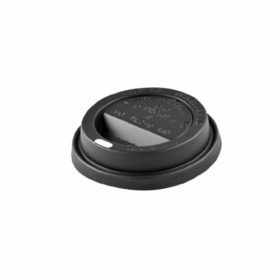 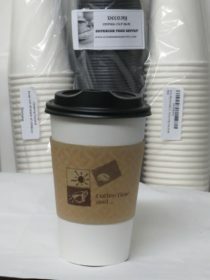 This product is great for offering your on-the-go guests warm beverages like coffee, tea, hot chocolate, and cider. 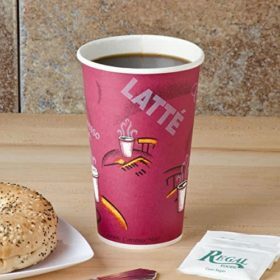 Made from 90% plant-based renewable resources, this hot cup is great for businesses that want to use more environmentally-friendly products. 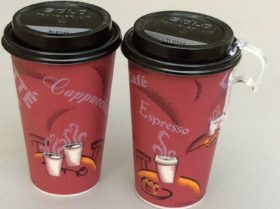 Best of all, you can store this product in a cup dispenser for convenient storage and accessibility. 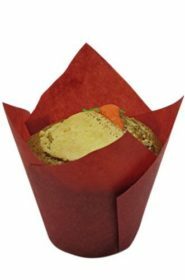 Decony 100 Piece Tulip Baking Paper Cup, Red 16 Oz. White Hot paper Coffee Cups With Lids And Sleeves -Decony coffe set- 50 sets.